Focused Ultrasound can selectively dissolve specific depth fat cell; it doesn't hurt the nearby blood vessels, nerves and muscle tissue. 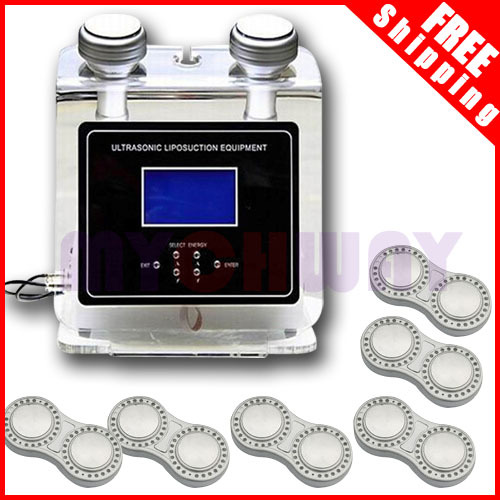 When the focused ultrasound energy reach the skin, it will produce in the skin layer with the physical effect of thermal destruction, causing the dissolving of fat cells and tissue cells. This damage leads to direct decomposition of fat, hence creat a series of fat metabolism and dissolving. 1. It can automatically lock subcutaneous fat layer under 8mm to 13mm. 3. Activate and improve the cells' ATP (Adenosine Triphosphate) and make toxins discharged out of body. 4. Dynamic focusing pulsed ultrasound stimulate and increase collagen cells in the dermis. and then renew flabby skin after lipolysis.